South Sudan Oil & Power 2018 will highlight opportunities in November in Juba. JUBA, SOUTH SUDAN, October 22, 2018 /EINPresswire.com/ — South Sudan Oil & Power (SSOP) 2018 is returning to Juba on November 21 and 22, and is focused on attracting international investors and service companies into the country’s newly revamped oil industry. The theme for the conference — Embracing the Private Sector — follows the successful resumption of oil production by the Greater Pioneer Operating Company this year and the introduction of new international companies into the market, including Russia-based JSC Zarubezhneft. The Russian company is set to begin exploring the country’s open acreage and opportunities in trading after signing a memorandum of understanding with the Ministry of Petroleum this month. Earlier this year, operating consortia investors CNPC and Petronas affirmed their commitment to improving and increasing oil production in South Sudan after re-signing production agreements with the government. Nigeria-based Oranto Petroleum began exploring for oil and gas in Block B3 in November 2017. With a new peace deal signed and in implementation, the government and existing investors in Juba are optimistic about prospects for energy sector growth. 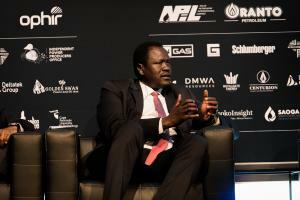 “South Sudan is dedicated to expanding oil and gas operations to strengthen the economy, as well as pursue economic diversification through new infrastructure and power projects,” said Hon. Ezekiel Lol Gatkuoth, Minister of Petroleum, South Sudan. Following a successful event in 2017 — the country’s first dedicated energy and infrastructure conference — the two-day SSOP conference this year will include panel discussions on oilfield development; building the nation through energy infrastructure; and public private partnerships and initiatives; as well as a reception and gala dinner, presentations and workshops. The 2018 conference will feature ministerial delegations from Sudan and Equatorial Guinea, and is held under the auspices of H.E. Salva Kiir Mayardit, President of South Sudan. Keynote speakers will include H.E. Salva Kiir Mayardit, President, South Sudan; Hon. Taban Deng Gai, First Vice President, South Sudan; Hon. James Wani Igga, Vice President, South Sudan; Hon. Ezekiel Lol Gatkuoth, Minister of Petroleum, South Sudan; H.E. Azhari Abdallah, Minister of Petroleum and Gas, Sudan and H.E. Gabriel Mbaga Obiang Lima, Minister of Mines and Hydrocarbons, Equatorial Guinea.